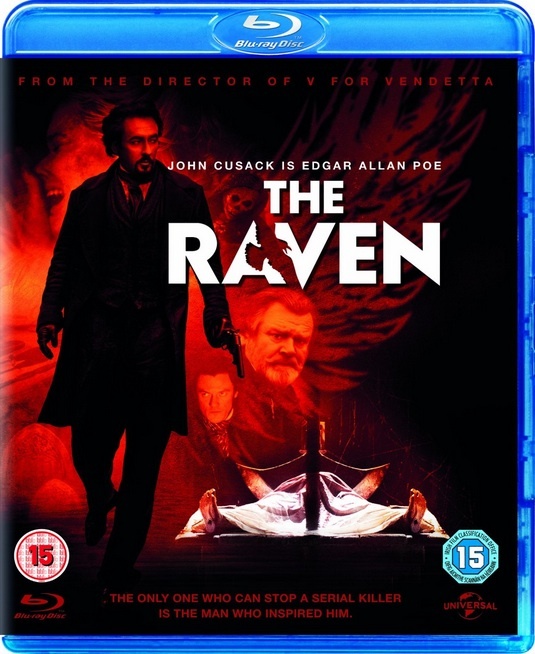 John Cusack and Luke Evans star in this blood-curdling tale of terror that's as dark and haunting as the legendary master of the macabre who inspired it - Edgar Allan Poe. I was super excited to see the movie The Raven, what’s not to get excited about? Edgar Allan Poe (played by a personal favourite, John Cusack) is recruited by local Baltimore law enforcement to help solve murders that are recreations based on his writings….Exciting stuff, right? Right. Well, I wish I could say that this is the perfect movie for die-hard Poe fans, (or semi-fans) but I really can’t. Don’t get me wrong, the movie was definitely enjoyable since it was a typical “killer thriller”. There was plenty of action, gore and immediate feelings for the characters. The movie was able to grab my attention and intrigue right from the get-go. Although, the little details about the time period (19th century) and Poe were exaggerated and misleading. I found it difficult to ignore the fact that the movie started out with an awesome insight to how life as the great writer was like, but only in the beginning of the movie…After the first half hour or so, it leaped into the same dribble you would find in any other movie. Boy meets girl, girl gets into life threatening trouble, boy sets out to save girl. I enjoyed the movie, heck, I’d watch it again, but I would have preferred it if it was a little more intellectual in the story line area. The fact is, with what they did with the movie, it was interesting seeing the writings come to life for the sake of entertainment. And entertaining is what it is. THE RAVEN arrives on Blu-ray and DVD October 9 from Twentieth Century Fox Home Entertainment in time to commemorate the 163rd anniversary of Edgar Allan Poe's mysterious death (died Oct 7, 1849). Disclosure: All opinions are my own. I was privileged to see an online screening no cost for the purpose of this review. No other compensation was received.